“No one has told the story we’re telling,” says filmmaker Theresa Demarest of her inspiring new documentary that finally solves the mystery of what really happened during the last five years of Keiko’s extraordinary life. The first in-depth cinematic look at the life and legend of the “Free Willy” star, “Keiko The Untold Story” goes behind the scenes of the controversial release in 1998 of the first and only orca released into the wild after being held for years in captivity. Indeed, seven years after the famed orca’s death in December 2003, the question of whether or not the mission was successful continues to fuel the debate regarding the fate of the other 42 orcas still in captivity in the U.S., Argentina, Canada, France, Japan and Spain. Four years in the making, “Keiko The Untold Story” presents never before seen footage of his life in the wild, much of it filmed by Jean-Michel Cousteau’s Ocean Futures Society, and exclusive accounts of his day-to-day existence by his last two caretakers, Colin Baird and Thorbjorg (Tobba) Valdis Kristjansdottir. From Mark Berman of the Free Willy-Keiko Foundation and orca experts Dr. Naomi Rose, Senior Scientist for Humane Society International, and OrcaLab founder Dr. Paul Spong, a neuroscientist and cetologist who has been at the forefront of orca research since 1967, we also gain new insights into the unique culture of orcas, and what the impact of being taken from his pod at such a young age had on Keiko’s ability to survive on his own.Keiko, whose name means ‘lucky one’, became exactly that when he was picked to star in the Warner Brothers film “Free Willy,” about a troubled boy who befriends an ailing whale, then helps him escape a death plot hatched by the aquarium owner. Giving an astonishing performance, Keiko swam straight into the hearts of millions of school children around the world upon the film’s debut in July 1993. As the outcry mounted, representatives from various organizations – including Phillips, Berman and Dr. Rose met with the owners of the Reino Aventura theme park in Mexico City, where Keiko was confined. They explored every possibility, including moving him to another aquarium. None were willing to take him, due to the mysterious skin disease Keiko had developed, which members of the captive industry feared would spread to other orcas in their parks. 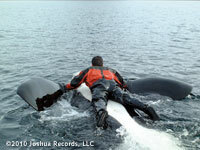 When the option was suggested to return Keiko to his native habitat, Warner Bros. approached the Earth Island Institute to serve as the orca’s custodian. Making it possible, Reino Aventura – which had originally paid $350,000 for Keiko – donated the whale to the newly founded Free Willy-Keiko Foundation, formed by the Earth Island Institute. At the same time, the Oregon Coast Aquarium agreed to build a new state-of-the-art facility to serve as a way station of sorts to allow Keiko to regain his health before returning to the wild. For Keiko’s millions of fans, it was the happy ending they had helped fund. Yet the effort had its detractors. Among them, there were “newspapers calling it a complete failure, because Keiko never found his family. Nobody considered the possibility that maybe his family had died during his capture. 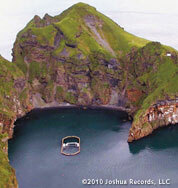 Or that they might have been merely passing through that part of Iceland when he was taken,” says Demarest. “Given what we as humans had done to him over the years, I think it’s very important that we get the full story out there,” says Colin Baird, who directed the Icelandic field operation during its last two years and had previously spent a decade training orcas. “It’s amazing how people just don’t know how it ended. I’d heard all sorts of misinformation – before, during and after the project. I’ve long said this project succeeded in so many ways. It succeeded in getting him out of Mexico. If he never left Oregon the project was already a success. Getting him to Iceland, into the big huge basin. If he never left the basin it would have been a huge success. And then for him to swim across the Atlantic and spend the last year of his life out in the wild – you can’t tell me it wasn’t anything but a success.” The Humane Society’s Dr. Rose, who helped negotiate Keiko’s freedom in the mid-1990s, is frequently featured as a guest expert on shows like Larry King Live, CNN News, ABC World News, and ABC’s Nightline. “There were so many people who fell in love with Keiko and I think it’s really unfortunate that they don’t know what really happened to him.” She adds: “Keiko was the only captive orca who was ever returned to his natural habitat. 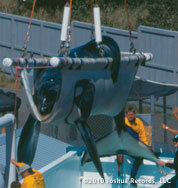 The only captured orca ever to go home. It’s true he did not swim off gallantly into the sunset and become a wild whale again, which is what we were hoping. But it was always a long shot, because Keiko wasn’t necessarily the best candidate for a full return to the wild. “So we established the project from the outset, had him wear a tag, so that if in fact he did reintegrate with a wild pod we would know where he was, we would be able to go and respond to whatever it was he needed. And that’s exactly what happened.” Rose is convinced that Keiko would have died in Mexico City within a year or two had he been left there. “I know that we lengthened his life beyond Oregon. In Mexico City, I think he would have had one or one and a half years left.” “I think there is so much distortion about what happened to Keiko that it’s important for people to understand exactly what really happened to him – and what really happened to him amounts to a great story,” says Dr. Spong.